I don’t keep much in the freezer aside from ice cubes, frozen blueberries and some fish. I used to pack it with leftovers, but I realized over time that I forgot what was in there and I always favoured fresh foods anyway. Some items like peas and edamame, however, are easier to find frozen than fresh, so I do make exceptions once in awhile. I love how green this salad is. 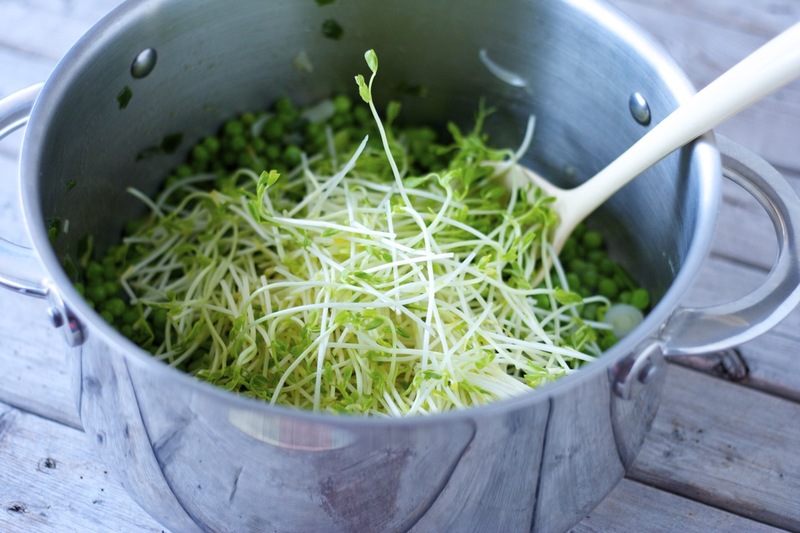 It tastes fresh, mildly minty and it is the perfect salad to bring for a picnic. Last weekend, we went for a long bike ride along the Saint Lawrence river and had a picnic by the water. We packed this salad along with homemade hummus, cheese, crackers and wine. It was divine! And you? What was your latest picnic menu? 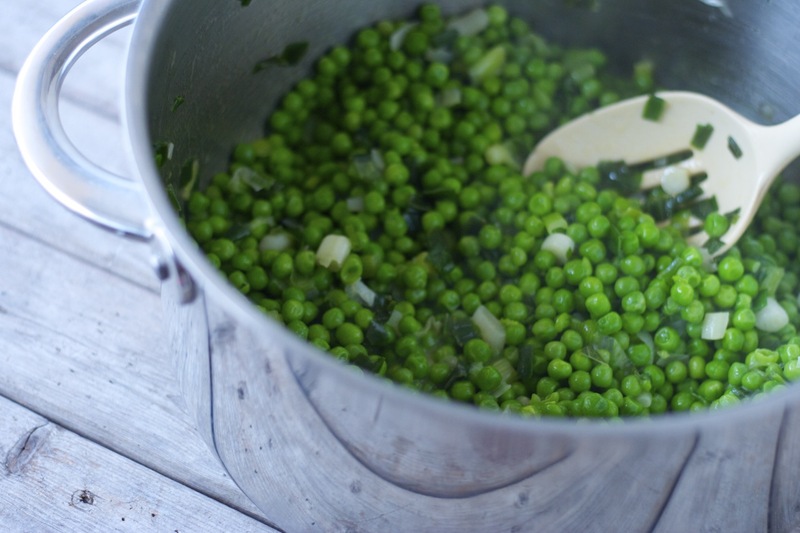 In a large pot of boiling water, cook peas for 2 minutes. 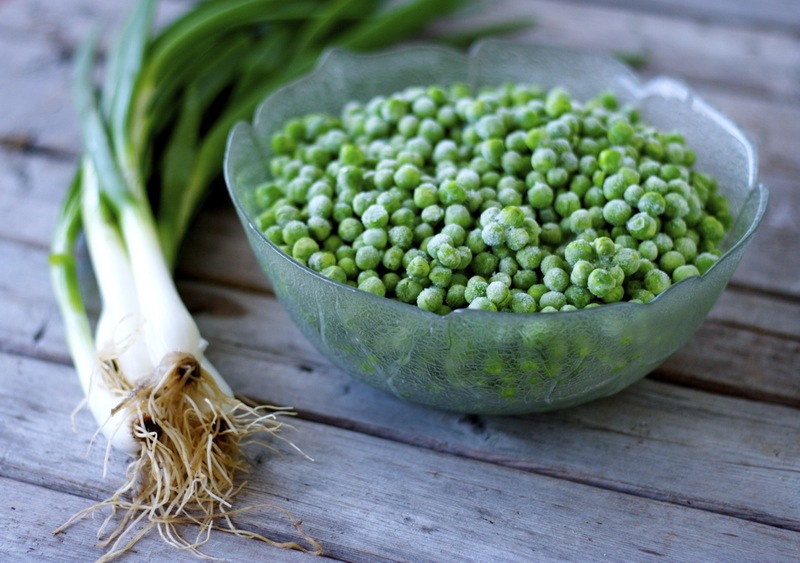 Drain and set the peas aside. 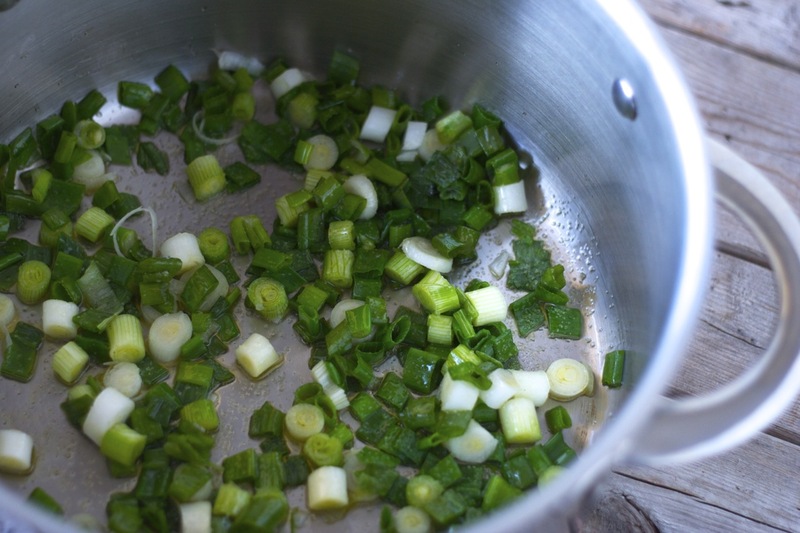 In the same pot, heat olive oil over medium heat and sauté the green onions for 3-4 minutes. Season with a pinch of salt. Stir in the peas and cook for a minute. Add the butter and stir to melt. Remove from the heat. 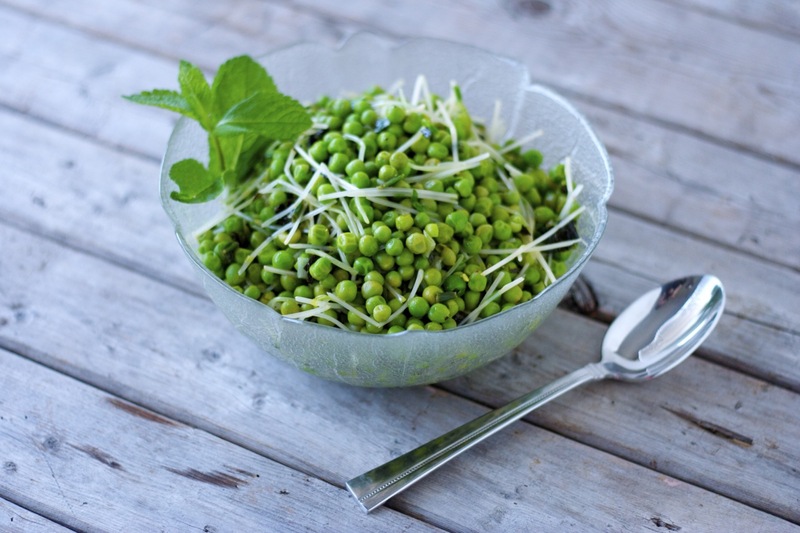 Stir in the pea shoots and fresh mint. Add the lemon juice and season with salt and pepper, to taste. Serve immediately / best enjoyed on the same day. Serves 4-6. Recipe adapted from Mike Lata on Food & Wine. So green…so fresh…so beautiful….I love it….. 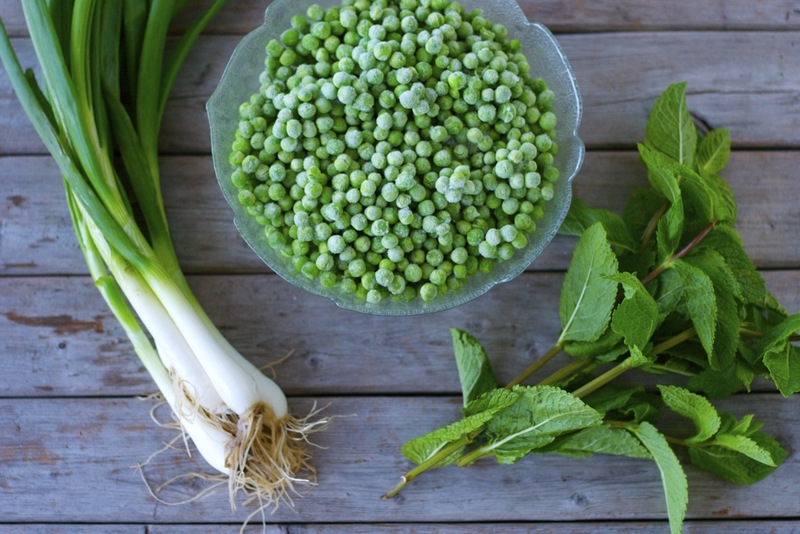 I never though to add mint to peas but it sounds good.